Our commitment to enriching the research skills and professional growth of young faculty members at ORAU member institutions is embodied in the Ralph E. Powe Junior Faculty Enhancement Awards Program. These competitive research awards provide seed money for junior faculty members that often result in additional funding from other sources. The award amount provided by ORAU is $5,000. The applicant’s institution is required to match the award with at least an additional $5,000. This is a one-year grant (June 1 to May 31). Eligibility for the Powe Awards is open to full-time assistant professors at ORAU member institutions within two years of their initial tenure track appointment at the time of application. If there is a question about eligibility, your ORAU Councilor makes the final determination. Only two nominations are allowed per institution. The deadline for 2019 awards has passed. Winners will be announced in spring 2019. Junior faculty members interested in applying should consult their ORAU Councilor, and visit the frequently asked questions. ORAU’s Powe Awards propel research and spark professional growth for junior faculty at ORAU member institutions. In 2018, competitive Powe research grants totaling $180,000 were awarded to 36 junior faculty members. 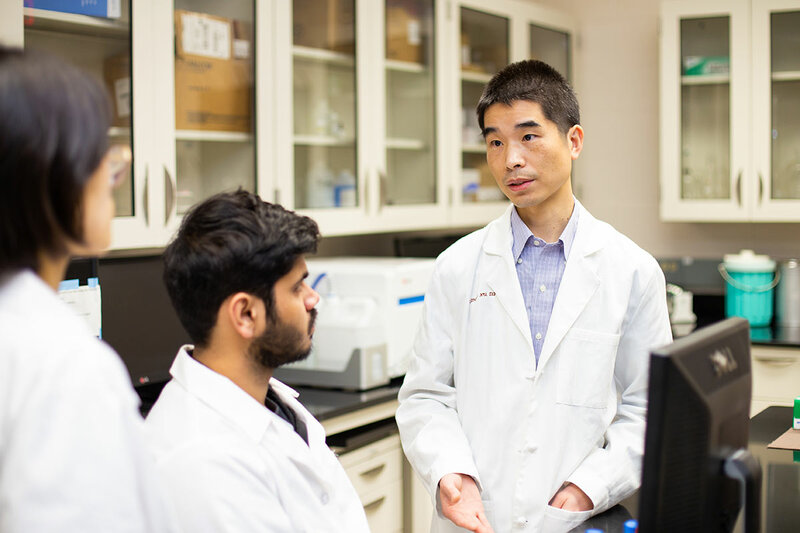 Qingguo Xu, DPhil, a 2018 winner of the ORAU Ralph E. Powe Junior Faculty Enhancement Award, is using his award to research better methods for drug delivery in the treatment of eye disorders, cancer and other diseases.